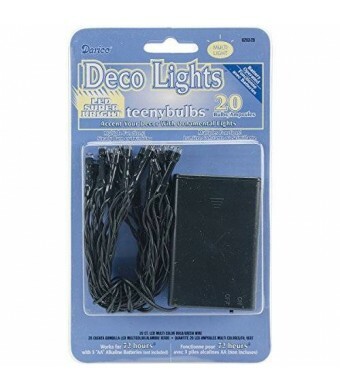 Darice-Deco LED Teeny Bulb Light Set. Use Deco Lights to add a decorative luminescence to any environment occasion or project. Teeny Bulbs are ideal for enhancing your smaller floral and craft designs. Perfect for showcasing miniature trees wreaths dollhouses garlands and more. 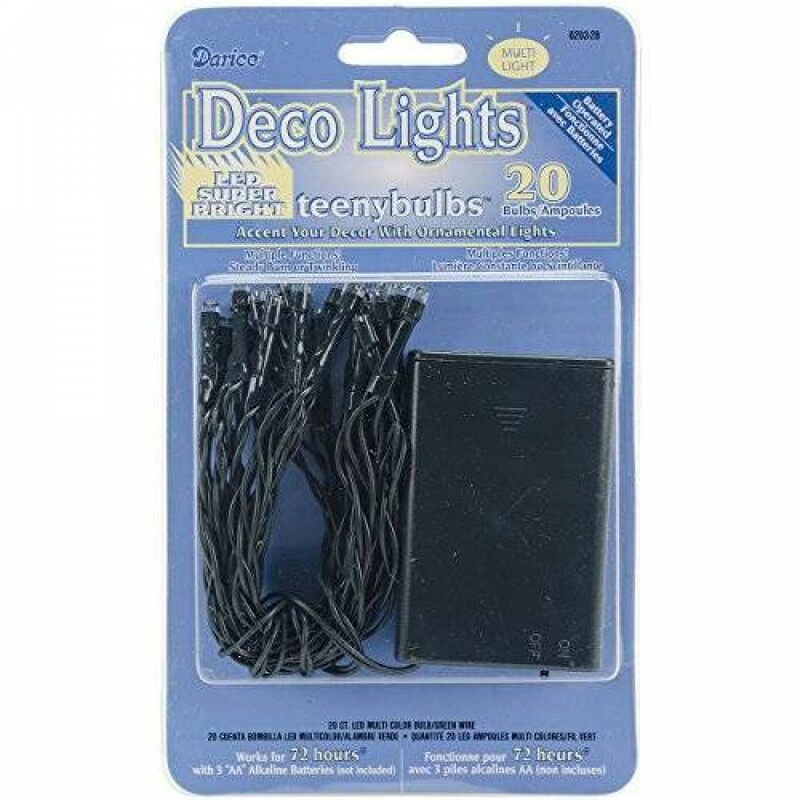 This 8x5 inch package contains twenty mini battery operated lights. Three AA batteries required (batteries not included). Imported.